The Sanskrit / Pali word Tathagata usually is translated "the one who has thus gone." Or, it is "one who has thus come." Tathagata is a title for a buddha, one who has realized enlightenment. Looking at the root words: Tatha can be translated "so," "such," "thus," or "in this manner." Agata is "came" or "arrived." Or, the root may be gata, which is "gone." It's not clear which root word is intended -- arrived or gone -- but an argument can be made for either. People who like the "Thus Gone" translation of Tathagata understand it to mean someone who has gone beyond ordinary existence and will not return. "Thus come" could refer to one who is presenting enlightenment in the world. Other of the many renderings of the title include "One who has become perfect" and "One who has discovered truth." In the sutras, Tathagata is a title the Buddha himself uses when speaking of himself or of buddhas generally. Sometimes when a text refers to the Tathagata, it is referencing the historical Buddha. But that isn't always true, so pay attention to context. 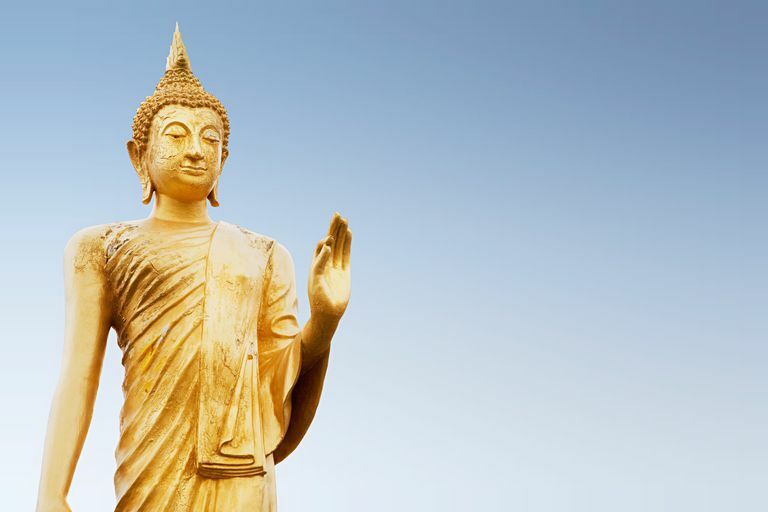 Why did the Buddha call himself Tathagata? In the Pali Sutta-pitaka, in Itivuttaka § 112 (Khuddaka Nikaya), the Buddha provided four reasons for the title Tathagata. First, everything in this world, "whatever is seen, heard, sensed, cognized, attained, sought, and reflected upon by the mind," is fully understood by a Tathagata. Second, from the moment a being realizes complete enlightenment until he passes into Nirvana, leaving no trace behind, whatever he teaches is just so (tatha) and not otherwise. Third, what he does is in the manner of (tatha) what he teaches. Likewise, what he teaches is what he does. Fourth, among all other beings in this world, a Tathagata is the conqueror, unvanquished, all-seeing, and the wielder of power. For these reasons, the Buddha said, he is called the Tathagata. Mahayana Buddhists connect Tathagata to the doctrine of suchness or tathata. Tathata is a word used for "reality," or the way things really are. Because the true nature of reality cannot be conceptualized or explained with words, "suchness" is a deliberately vague term to keep us from conceptualizing it. It is sometimes understood in Mahayana that the appearance of things in the phenomenal world are manifestations of tathata. The word tathata is sometimes used interchangeably with sunyata or emptiness. Tathata would be the positive form of emptiness -- things are empty of self-essence, but they are "full" of reality itself, of suchness. One way to think of the Tathagata-Buddha, then, would be as a manifestation of suchness. As used in the Prajnaparamita Sutras, Tathagata is the inherent suchness of our existence; the ground of being; the dharmakaya;​​ Buddha Nature. Why Is the Metta Sutta Such a Popular Buddhist Teaching?